The WhiskyX has partnered with one of Denver’s favorite chefs, Elise Wiggins from Cattivella to bring you a next-level culinary experience that is just as impressive as our selection of whiskies. Complimentary culinary samples available for VIP Ticket Holders starting at 6PM. 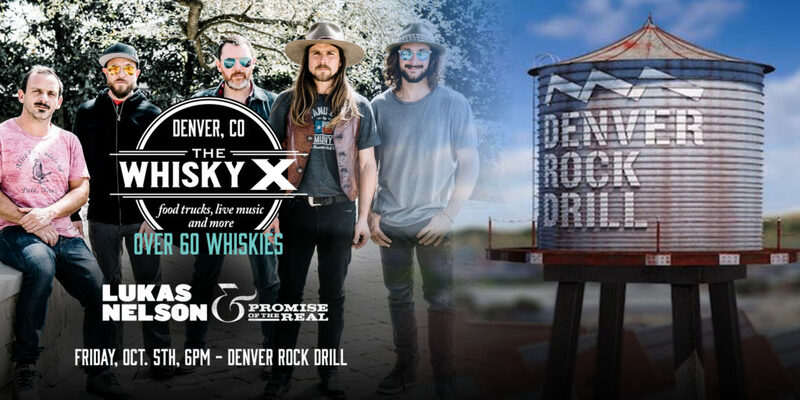 The WhiskyX will feature some of Denver’s best food trucks, with food available for purchase throughout the evening. Confirmed food trucks will be announced soon. Taste some whisky-inspired treats from Frozen Matter & Retrograde. Be pampered and get a haircut with men’s barber club Scotch & Scissors. Discover Q Drinks, our craft mixer partner who makes mixers as great as our whiskies. Visit The WhiskyX Cigar Lounge to learn about pairing whisky with featured cigars. Discover Samsung’s latest innovations. Learn more about how you can get a safe ride to and from The WhiskyX with our special discount, and anywhere around Denver anytime, with Lyft. Denver Rock Drill is a modern collection of urban buildings linked by a series of lanes, rail spurs and courtyards, in the North Denver area, built on the site of the famous Denver Rock Drill plant. The WhiskyX Denver will take over one of the open space buildings at this property for our event on October 5th, 2018.